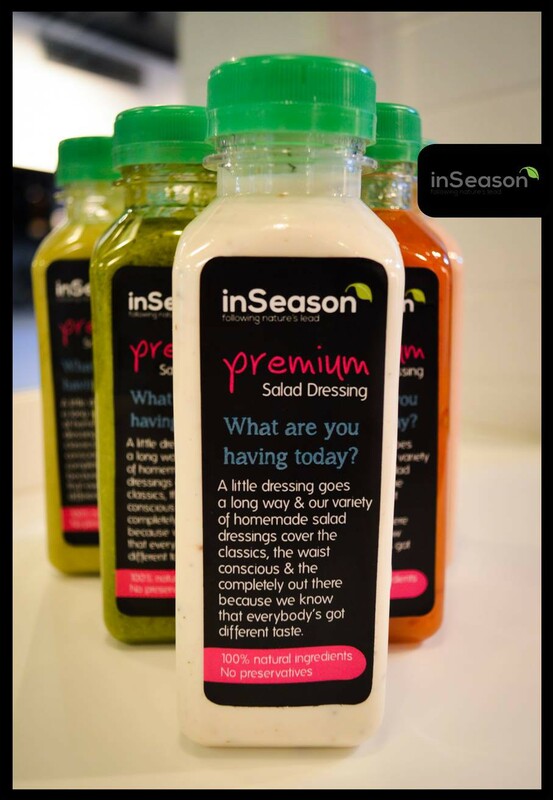 InSeason follows nature’s lead and makes healthy sinfully good! From the moment we walked in through the door we could tell this was going to be a great experience. The interiors of InSeason alone will make you feel better! They used the colors of nature and serenity, white and green, and used minimalistic furniture in order to make the atmosphere light and spacious. The first thing that grabbed our attention was of course the large display fridge holding the colorful packages of cold pressed juice they offer. The large variety of fruits and vegetables they use to make their concoctions had us baffled until the function of each vegetable was explained to us. We were hesitant to try the unusual combination of fruits and vegetables but once we got a taste of Metabolism Megadrive we were sold! A mix of carrot, ginger, pineapple, orange and lemon, Metabolism Megadrive gave us the push we needed to start considering a juice fast. Next we tried the Cashew Milk; so natural it’s only made of Cashews, water, sea salt and honey. The silky-smooth milk was so good we actually bought a few to take back home, with the suggestion of substituting it for milk in our morning coffee. We also decided to try their Lean, Mean and Green juice, made up of Kale, spinach, parsley, celery, cucumber, green apple, lemon and ginger. And my we just add that whoever came up with this recipe is just brilliant, but this is a choice best kept for juice fast usuals and health-conscious individuals. The Tomato Quinoa and the Broccoli pine nut were divine. Both soups had just the right consistency so you don’t feel like you’re having water for lunch, yet none of the unhealthy additives that are usually how this consistency is achieved. They even serve the soup in a smart package so you can “Bring home the soup”. They also offer Red Velvet Pepper soup which unfortunately wasn’t available at the time. We checked out their salad bar and realized they have the most extravagant salad ingredients we’ve ever seen. From wheat berries to flax seed, kale and chia seeds; it’s all there! The serving is pretty generous as well. They offer several options with all kinds of protein you can think of. Finally, for the most important part, dessert! Their skinny Quinoa Apple Pie is absolutely delicious. The incredibly simple yet incredibly healthy ingredients make this treat one that you’ll love and not feel guilty about over indulging afterwards. Everything from their homemade greek yogurt, to their applesauce and Madagascar vanilla was just phenomenal. They also offer Mango Chia Colada and strawberry granola but our favorite was definitely Apple pie. InSeason also offer a variety of cut-up fruits in conveniently sized containers so you can snack healthy on the go, and selections of greens all cleaned up and mixed together to give you the perfect base for your homemade salad. In short, our experience with InSeason was one that had both our tummies and our conscience satisfied, and will definitely be repeated. Address: 3 Ismael Mohamed St. Zamalek.